Our continuing examination of the recent Australian Senate hearing on the impending ban of online poker in that country continues here with a look at the testimony of Luke Brabin, a well-known sports bettor and poker business operator. 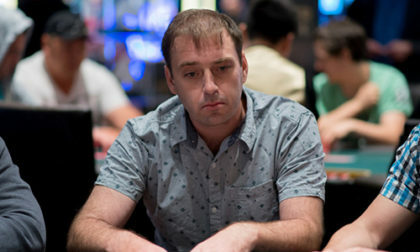 Brabin is perhaps best known in poker circls for winning a WSOP bracelet, and of course he was back in the headlines in June after being fined $10,000 for running his Poker Asia Pacific site, an online poker site offering real-money action, both to Australians and within Australia. Brabin’s pre-testimony submission appears to have focused on an examination of different forms of gambling available to Australians, with his graphs (not included here) showing how the “pokies” (EGMs – electronic gaming machines, or video slots) take an extortionate amount of money from customers on an hourly basis as they’re being used. According to Brabin, the EGM’s take as much as 35 times as much money from gamblers on an hourly basis whn compared against other forms of gambling, including online poker, sports betting, and even table games such as blackjack. The introduction by Brabin focuses on that, and that topic figures intothe question-and-anserr part of his appearance. For the most part, however, the Senators went straight sideways from there and focused instead on Brabin’s legal difficulties with his Poker Asia Pacific operation, his experiences as a professional sports bettor, and much more. It’s a fascinating read for anyone with industry-level curiosity, and it’s reprinted in its entirety below. Brabin comes off as a direct, wounded, even indignant veteran of the gambling wars. There’s a bluntness in his testimony that indicates he truly believes what he’s saying, unlike some of the posturing often served up by witnesses in these types of hearings. Brabin asserts that PokerStars and other international operators owe many millions of dollars to the Australian government for their previously unregulated offering of services to the Aussie public, and infers that these sites should be made to pay up to re-enter any regulated Aussie market. CHAIR: Welcome. Information on parliamentary privilege and the protection of witnesses and evidence has been provided to you. I understand that we have a copy of your introduction. We have up to 40 minutes to listen to you and ask questions. It is quite a long introduction, if you’re going to read it all. Now that you’ve given us a copy, we can read it ourselves. I don’t want to throw you off your game, but my advice would be to try and keep it as short as possible. Mr Brabin: Sure. Basically I became involved in the gambling industry when I was 19 years old. I was super passionate about it. I wanted to work in the industry and got a job in the gambling industry with a sportsbook, and became a bookmaker within 18 months. I was taking millions of dollars of bets every day when I was 21 years old. When I was 24, I became a professional gambler and left the job to do it myself. Since then, I’ve been self-employed and I’ve paid the Australian government over $1½ million in tax as a professional. As a professional gambler, you have to use a lot of mathematics and scientific insight—a lot of determining factors—to be able to make money from gambling. Basically it’s all about mathematics and your ability to control your mind in a high-stress environment where you can win and lose every day. The better players and professionals are able to deal with wins and losses very well. Using my scientific formulas, I was able to create a table, which is table 2, that I’ve shared with everybody. This table represents the average Australian gambling losses per hour. What I’ve done is taken the commission that is charged by operators—say, for blackjack: they make four per cent from every dollar spent, no matter what happens. Everything can be brought down to scientific facts with gambling, and how much people actually lose per hour in the popular forms of gambling in Australia. That’s undisputable. If we look at the top one—EGMs [electronic gaming machines]—the average player has dinner, and then they go and play the pokies and they put in $50. For every dollar spent, the house is going to make 15 per cent no matter what. It doesn’t come out like that every time, otherwise nobody would play them—they give you 10 losses and then they give you a win and you keep going, and it’s 15 per cent every time. The amount of money lost per hour by playing pokies, or EGMs, is $37.50—that’s the rate of loss. So there’s no skill. Everybody is the same—press, press, press. Basically if you spend 50 cents, you’re losing 15 per cent of that 50 cents every time, which is 7½ cents in the long run, using the scientific formula. If we go further down the list, we can see sports betting. With sports betting, you’re not betting every 10 seconds. You make one bet on a game for, say, $10 or $20—I’ve put here $15 as an average. The consequence of that bet for the average player is losing eight per cent of that $15, because they’re only making one bet on the game, and it goes for an hour or two. So the commission or theoretical whole percentage that that player is going to lose in the long run if they make 1,000 of those bets is only $1.20 on a $15 bet. If a guy makes three bets of $15, it is hard to lose those three bets if there is a fifty-fifty outcome. He could win one, he could win two or he could win three. So if a guy makes 1,000 bets of $15 he is losing $1.20 for each one of those bets. This is for a regular Australian gambler, not a professional and not a problem gambler. A problem gambler is going to bet more and he is going to bet more often. So I have put forward the formula and how this is derived. With the top one again, a person puts in $50 and there is a spin every seven seconds. That makes 500 spins per hour. The loss is $37.50. The way I have gotten to that is that the house percentage is 15 per cent in the formula in the column on the far right. It is 15 percent times 50c. That’s the commission for every spin. It’s 7.5c times 500 spins, which is a loss of $37.50 per hour indisputably. It is undeniable. It is an extortionate amount of loss when you look at the average loss per hour rate for the average Australian gambler, which is $1.20 for sports betting and a dollar for poker. That is for the average player. The average poker player is going to break square. You have some poker players who lose and some who win, but the average one is going to break square and all he is going to lose is the commission to the site. Let’s look at the online poker cash game in the second last line. The average player bets $5 per hand online. He’ll play 20 hands per hour. So 60 to 70 hands are dealt per hour. A player will fold, fold, fold and then play a hand. In an hour he’ll play 20 hands of $5 each. There is a two per cent rate for the house commission. When a player plays against someone, the other person is putting money in the pot too. The casino just takes two per cent. So he is contributing one per cent to the rate, and the other person is contributing one per cent. This is in an average situation. So it is one per cent times $5 times 20 hands, which is a dollar. The average commission when a poker player is playing poker means that he is losing a dollar per hour if he is an average player with an average stake size of $5 per hour. When you look at the average loss per hour for pokies versus the average loss per hour for sports betting and poker, it is 35 to one. I have been reading submissions and people do not even understand the level of damage that EGMs cause compared to poker and sports betting. It is unbelievable for a professional who uses scientific methods and formulas in his calculations to actually make money. Table 3 is on the next page. We can look at my scientific formula and results for problem gambler losses per hour in Australia. This is pokie players who are really unsophisticated and of average intelligence. No real professional players or intelligent players would think they could make money on pokies in the long run. It is only people who are more vulnerable to problem gambling who are actually going to play them and get into financial trouble, because it just does not make any sense to do it. CHAIR: It sounds good. All the bells ring and all the lights flash. You get your endorphin rush. Mr Brabin: It is specifically designed to target vulnerable people. Mr Brabin: Aristocrat are unbelievable. They actually produce games on the internet under a different company name and provide them to these online casino platforms. They are very similar to Australian games too. Senator BERNARDI: I was just reading through this notification. What I am really interested in is your experience operating Poker Asia Pacific, which was an Australian online poker business that you were convicted of running. Your lawyers, according to this, suggested there was a very low rate of conviction given other people were already operating in this space. Tell us what happened there. Senator BERNARDI: So it was an Australian domiciled company? Senator BERNARDI: Can you take me briefly through the story. Mr Brabin: Obviously I was dobbed in, because if ACMA and the AFP were actually onto the IGA they would have shut down or blocked PokerStars a long time ago. So I think it was more like local people just dobbed me in. Then the AFP came and closed me down and I was made to look like a criminal. I am actually a convicted criminal. PokerStars is worth $5 billion. It is listed on the stock exchange and has had no charges whatsoever. It has been operating in Australia for 15 years. If it had been shut down two or three years ago or in the beginning, Poker Asia Pacific would never have launched. If you are going to get caught and other people have been shut down, it is futile to open. But those were opening in plain sight and having tournaments and casinos in Australia. Senator BERNARDI: So you started Poker Asia Pacific. How many customers did you have? Mr Brabin: We had 6,000 sign-ups. Senator BERNARDI: How many of those deposited money? Mr Brabin: Half of them. Senator BERNARDI: So 3,000. You said you made $100,000 in 12 months or something like that. Mr Brabin: Yes. It was about $10,000 gross revenue per month in commission. 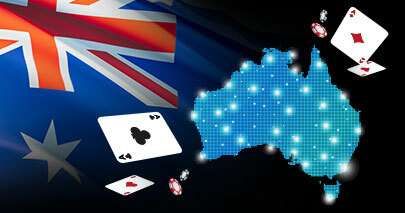 PokerStars would make from the Australian market roughly $1 million. Senator BERNARDI: because of the taxation advantages that would accrue to government. Mr Brabin: That is correct, and without damaging people as well. If I was sitting here promoting EGMs there would be no good to come to society from that. You are doomed to lose with pokies. The hourly rate of it is astronomical. Mr Brabin: I absolutely think poker should be regulated for Australian players’ fairness and consumer protection and for the government’s sake—for revenue. We can have an Australian company that is on the Australian Stock Exchange worth $5 billion, not one that is in Toronto, London or the US. Senator BERNARDI: From your submission and your introduction I got the impression that you are professional poker player, but you were an introducer to online gambling; is that right? Did you get a commission from introducing people? Is that where the money came from? Mr Brabin: I am a professional gambler, but I’m also an operator as well. Senator BERNARDI: An operator is what? Mr Brabin: Providing the service—having a poker site. Mr Brabin: As a professional I also became an affiliate to promote gambling. I promote sports in Australia and I promote casinos overseas, and so I have a lot of customers from Canada, Germany, Sweden. I pay tax in Australia for that. Senator BERNARDI: That’s that $1.5 million worth of taxation. Mr Brabin: That derives from affiliates and gambling winnings. CHAIR: If the law was to change and you were able to open a domiciled Australian business, which was regulated and you paid tax, would you, because of your conviction, be allowed to open a company again? Mr Brabin: I believe I would be able to work that out legally. Senator BERNARDI: Great answer—’work it out legally’—I like it. Mr Brabin: I am really mad about the situation. Senator BERNARDI: and the great crime that you committed appears to have been registering the company to operate your casino in Australia rather than in Antigua or Bermuda or somewhere else. Mr Brabin: And charge less commission on the players. Senator BERNARDI: I do suggest that it is probably naive to think it was a local who dobbed you in. It might have been one of your international competitors who dobbed you in. Mr Brabin: It could have been anybody. It would be ironic, wouldn’t it? Senator LEYONHJELM: I would like to ask you about your prosecution. You said the AFP shut you down. What actually occurred? Senator LEYONHJELM: With a warrant? Senator BERNARDI: $9 million a day, we heard, didn’t we? Senator LEYONHJELM: No, that’s the new law, not the old one. Then what happened? Mr Brabin: Before that happened, I was looking to have senators lobby for me to help with legalising online poker because I thought it was a strong case. After that, I started playing golf. Senator LEYONHJELM: How did the case progress? Who filed the brief of evidence? Who pursued it? Was it the DPP? Mr Brabin: It was the AFP on referral from ACMA. Senator LEYONHJELM: They refer to the department of prosecutions, don’t they? Senator LEYONHJELM: So they pursued it? Mr Brabin: Yes, and I had to go to Southport Magistrates Court. It was adjourned a couple of times because the AFP was trying to get their evidence together. They couldn’t seem to build a case. Because it was a landmark case, they didn’t have anything to refer to and so they just tried to make a whole bunch of stuff stick, but we refuted a whole lot of it. In the end it was just the one charge—originally there were eight charges against me and we negotiated it down to one. It was a pretty open and shut case from there. Senator LEYONHJELM: Did you plead guilty to one charge? Senator LEYONHJELM: That was the one on which the conviction was recorded and you were fined $10,000. Is that correct? Senator LEYONHJELM: Have you had any further contact with the department or anyone since then? Senator LEYONHJELM: Did you plead guilty on legal advice? Senator LEYONHJELM: Your own decision? Senator LEYONHJELM: Did you consider the possibility that the AFP might struggle to achieve a successful prosecution, even on that one charge? Mr Brabin: It was overwhelmingly obvious that I was providing an interactive gambling service. Senator LEYONHJELM: I think the answer to the question is: no, you didn’t think about that aspect of it. Mr Brabin: No. I did consider that but I didn’t really want to fight when I considered myself to look fairly guilty. CHAIR: In that sense you acted with integrity. Mr Brabin: Yes, very much so. Senator LEYONHJELM: Since then, have you resumed your professional gambling occupation? Mr Brabin: Yes, through other people, because sports bookmakers actually ban winners. Senator LEYONHJELM: So you have to use a proxy to place your bets. Mr Brabin: That’s right. And then they get banned, and then I sign up with another person till they get banned. It’s unbelievable. Senator LEYONHJELM: Is it online poker that you’re playing through these proxies or other games? Mr Brabin: I don’t play poker online anymore. I had played since I was 21, but I’m burnt out big time from it as a player. Senator LEYONHJELM: What games do you make your money out of? Mr Brabin: Sports betting. We have a software program that analyses the market and tells me what to bet on. I set up the variables that I know are very strong in the market and, whenever I see them do something, I follow them. Senator LEYONHJELM: Are you betting on Australian sites or offshore sites for sports betting? Mr Brabin: Mainly Australian sites because they are the softest ones and the easiest to beat. The problem is they actually ban you when you start making too much money. It’s scandalous. We have a scandalous situation with sports betting in Australia, with Australia’s corporate sports bookmakers. Senator BERNARDI: Do you find that the odds change from what is advertised or marketed when you try to put your bets on? Mr Brabin: Corporate Australian bookmakers only want losing customers. They have a vested interest; they ban winners—so everybody’s doomed in betting on sports online. When you look at the figures, it’s not that damaging to people. They make about $15. One football match goes for about two hours and $15, and they have lost eight per cent of $15 in that two hours. It’s like a dollar. But if the same person sits there and plays the pokies, he is going to lose $37.50. Senator BERNARDI: They’re different things. Senator LEYONHJELM: So you don’t play online poker at all now? Senator LEYONHJELM: Do you play face-to-face poker at all? Senator LEYONHJELM: You’ve given it up entirely. The conviction was a searing experience. CHAIR: You were talking us through table 3 before we went into your conviction. My understanding is that we can take table 2 and look at it for a problem gambler. If I am a two-times problem gambler per hour, for an online cash game I’m looking at $10. If I’m a 10-times, I’m looking at $75 but I’m still under a moderate level of risk. I’m potentially losing $75 if I’m playing 10 times an hour. Is that correct? CHAIR: On a relative basis, you compare that to EGMs at $375. It’s a lot less than if I’m sitting there playing pokies. The Salvation Army told us this morning that $75 per hour for a problem gambler—it’s all relative based on how much income they have and their personal situation, but it can still be quite devastating to them and their families. Do you accept that? Mr Brabin: Absolutely. The average loss on the pokies is $37.50 an hour. You only have to play for four or five hours and you’re going to have some trouble if you only make $500 or $600 a week. That person at $37.50 an hour might have more problems than the person at $375 an hour. CHAIR: Would you say the same for online poker? If I’m losing $75 an hour because I’m a problem gambler and I may be on income supplements or whatever it is. It’s all relative. Mr Brabin: That’s absolutely correct. The thing is that you can develop a problem with any of these forms of gambling. CHAIR: And be really bad at it. Mr Brabin: Be really poor—just wanting to get it all in and all that stupid stuff, and you still won’t lose as much as you do on the pokies. CHAIR: I accept that. Thank you for your analysis because it’s been excellent. It’s made it really clear. I suppose I’m saying that you put value judgements on these things, and $75 an hour for a problem gambler could still be a lot of money for their family. Mr Brabin: Yes. What I wanted to do with this is say you can’t manipulate these figures. This is what it costs. This is unbiased information on the reality of different forms of gambling in Australia. It can’t be twisted or turned around because of either an average bet or problem losses. On the sheet after that, I’ve got professional action—how things work with the professionals. Senator LEYONHJELM: Can you take us through that table? I’m struggling to understand. That is table 4. Explain that to us. Mr Brabin: Sure. Let’s look at blackjack. The ones in green are the ones you can be professional on. For the ones in red, you cannot win; you cannot make money; it’s very poor. You might get lucky on the night or whatever, but if you play enough times you will lose. With blackjack, the house usually has a two, three or four per cent edge, it just depends on how the person plays the game. I heard you talking before about card-counting. That is a professional in blackjack—pure card-counting. It can’t be done online because that’s all random number generation. In a casino, they have a shoe and the actual cards. There’s no black magic. The problem is that the casino has a vested interest. They don’t want to lose money to card counters, so they’re banned. If you want to be a professional in the long term, you need to travel around the world wearing disguises and all that sort of crazy stuff, and then they might catch you and you might go missing—things like that. That’s kind of out of the question—blackjack professionals. Senator BERNARDI: They’ve all gone missing! Mr Brabin: I’m talking about Vegas in the 60s and stuff. Senator BERNARDI: I’ve got you. I’ve seen the movies. Mr Brabin: They still ban to this day. You’re not allowed to. They just kick you out. That’s how they operate these days. They don’t take you upstairs or around the back. Back to this. The house has a negative percentage. In that column, you can see the house with a minus, and that means that the house will lose to that player. They’ll play 30 hands an hour, at an average of $200 per hand, and that equates to a win rate of $120 an hour. That’s what a professional blackjack player makes if they can stay alive. When we look at poker and the success percentage rate, you’re only playing against other people—peer to peer stuff; there are no vested interests; the house just takes a cut. That leaves a lot of room for success, especially in a skill based game. The average professional poker player will win five per cent in a cash game on turnover. They will play 10 hands at $100 a hand, and that equates to an hourly win rate of $50 an hour. In a casino poker tournament, you’re only paying the one fee. That’s why the return on investment is so high, because you’re not paying commission for every hand; you’re only paying it once, at the start. But, to actually make decent, professional money from casino poker tournaments—not online tournaments—you’d need to play in a $2,000 tournament. If you’re a professional, you win it around 30 per cent of the time. The top 20 per cent of the field usually gets paid. Senator LEYONHJELM: The top 20 per cent? It’s not just the winner takes all? Mr Brabin: No, absolutely not. That’s been a big problem with poker, actually. You can deepen the payout fields and then have more winners, rather than have a winner-takes-all scenario. Poker actually incorporated that. We were the first people in the world to pay deeper so there’d be more winners than losers. It was very strong. Then, it just got taken away. That explains table 4. Senator LEYONHJELM: If you’re a professional gambler and you’re not a card counter, are you better off betting on the horses or—what you’re doing—on sport, in terms of hourly return, than playing poker either in a casino or online? Mr Brabin: It depends on the professional. It depends on how much they play poker. You can get banned from horseracing. This is the problem. You can win more on horseracing, but you will, eventually, get banned by corporate Australia bookmakers. CHAIR: How’s David Walsh got away with it for so many years? Mr Brabin: Proxies or beards. Actually, some sports bookmakers don’t ban you. The only one in Australia that doesn’t ban you is called Betfair. It’s peer to peer, but they charge an extortionate commission. It’s unbelievable. Unidentified speaker: What about TAB? Mr Brabin: The TAB bans you. I’m banned from the TAB. Senator LEYONHJELM: Did you win too much? Mr Brabin: Yes. They don’t know how to book. Senator LEYONHJELM: Subject to that proviso of not getting banned and based on your table here, is it more lucrative for the professional gambler to engage in sports betting or bet on horses than it is to professionally play poker either online or in a casino? Mr Brabin: Is this for the average professional? Mr Brabin: Generally, that’s correct. But, with poker, you’re not going to get banned. It’s peer to peer. At Betfair you won’t get banned, but that’s where a lot of the professionals are hanging out. It’s harder to win at Betfair and be professional there. Senator LEYONHJELM: This is very interesting information. No other witnesses have provided this. Do you want to take us through table 1 as well? Mr Brabin: Yes, happily. This is from economist.com. It’s a very good source for financial information. Senator LEYONHJELM: Just explain it to us. Mr Brabin: You can see that the big bar for Australia represents—this is in US dollars, by the way—that, for every Australian adult, we lose approximately $1,000, which is A$1,300 per year. That’s for every Australian adult. That equates to $18 billion lost. CHAIR: Do you have that in median classification as well as the average? CHAIR: It would be interesting to see what the median losses are—how skewed this is by big gamblers. Mr Brabin: The median is, I believe, $1,300 per Australian adult. CHAIR: It’s pretty close to the average, then. Mr Brabin: Yes. A lot of it is to do with the pokies—the EGMs. I know there’s a lot of blue there, but, if we look at the light blue, which represents gaming machines—basically, the first part of the bar for Australia—it represents $450 of $1,000. This is in US dollars. So half of the money lost in Australia is on pokies. To get that figure, we look at EGMs—I’ve written up the top there: one EGM equals $450 per adult, of which there are 17½ million of in Australia, equals $7.8 billion just on pokies. CHAIR: That’s more than 12 out of the 15 countries lose in all their other categories. Mr Brabin: Since we deregulated EGMs—to go outside of our casinos, which is unbelievable. Senator LEYONHJELM: And your comment there, no. 2 example—offshore—just explain that. Mr Brabin: On the graph, you can see the pink line is online. When you look at the 800 and the 100, you can tell that that’s $150 times 17.5 million Australian adults equals $2.6 billion lost online by Australians, most of which is not taxed, and 80 per cent of that figure plus is online casinos. It’s about $2 billion going offshore each year in the last few years since it’s really exploded. Ten years ago, it’s not going to be that high for online; and, 20 years ago, it’s almost going to be non-existent. But now we’re up to the stage of $2.6 billion lost online. Just about no money comes back in tax. Mr Brabin: About 25 per cent, because you’d be taxing half for casino roughly what pokies are taxed. You’d charge them half of their net: let’s say they make $1.3 billion; they owe 50 per cent of that. Senator LEYONHJELM: Very interesting figures. Mr Brabin: There’s a lot to be said—I could go on and on and on. CHAIR: Singapore’s got quite strict laws in relation to online gambling, hasn’t it, and very big penalties. I know the committee looked at that when we looked at the IGA bill. I remember they were sort of held up as being the gold standard of how to enforce and prevent online gambling. These figures are quite remarkable but not surprising though. Mr Brabin: It’s funny because they actually ran a lot by the black market, which is not online. So on every street corner, you’ve got an agent you can talk to to get action on. They’re still quite huge gamblers, but their government is quite strong in enforcing non-online gambling but, when it comes to the ground-level black market stuff, they haven’t got enough forces to shoot down everybody. Senator LEYONHJELM: What year was it you were convicted and gave up online poker? Mr Brabin: It was just a couple of months ago. Senator LEYONHJELM: It was this year. Senator LEYONHJELM: So you’ve quit. Do you think you’ll return to poker? Mr Brabin: As a player? Mr Brabin: Yes. It depends on how things go. Senator LEYONHJELM: You can’t get banned from it, as you said. Senator LEYONHJELM: It’s peer to peer, so the house doesn’t care if you win a lot. Senator LEYONHJELM: So you could presumably. The law, as it’s been written and passed—although it’s still not enacted yet—will make it impossible for any online poker company to operate in Australia. How would you then participate in poker, assuming you reach the stage where you’re no longer bruised from your conviction and want to resume playing poker? How would you go about it? Mr Brabin: It depends on the level of blockage, I guess, from the government. I would probably go straight to a VPN to play online like nothing had ever happened; or go to a casino. A lot of players would filter towards the casino, so a lot of the—what would you call it—mug money, dead money, loose money is going to the casino. You go there and you pick it up. Senator LEYONHJELM: So you don’t mind whether you go to a casino or play online? Mr Brabin: Online is better because, professionally, you want to get as much turnover down as possible. The speed of play is a lot faster; you can play multiple tables. I can play four tables versus one table, and the speed of play is three times faster so I can get a lot more turnover—more money down—to get my percentage up. The variance is actually lower as well. Because you are playing three or four tables, you could lose on one table but win on another two so the variance is more level—not as high—so it is not as emotionally hard to deal it. Senator LEYONHJELM: So online is more attractive than going to a casino? Mr Brabin: That is also because of the rake, the commission charge. It is extortionate at the casino. The monopolies create whatever they want—10 per cent—which makes it almost impossible to win. Senator LEYONHJELM: How would you go about choosing which online provider you would gamble with? Would there be more than one? Mr Brabin: In the future, if PokerStars and the others do not pay what they owe the Australian government, after what has happened to me, I will not be playing with any of them. Senator LEYONHJELM: We’ve been told that they are not interested in taking bets from or hosting Australian plays anyway because they do not want to get offside with the Australian government. We may end up with the big names that you are familiar with not being available to you as an Australian player. What would you then do? Mr Brabin: From a business operator’s point of view or as a player? Senator LEYONHJELM: As a player. Mr Brabin: As a player, I would play with some Asian site or something, get hooked up with the black market, get an agent, get some money in my account and play against Asian people. Senator LEYONHJELM: You do not have any concerns about them? Mr Brabin: Do you mean in terms of security of my funds and stuff? Mr Brabin: Yes, I would. It could just disappear at any time because it is the black market. Senator LEYONHJELM: What can you do to improve the security of your funds? Could you withdraw more often or do it some way that is secure? Mr Brabin: You would probably want to withdraw every week or each month. You would not let your account build up to 50K or something like that. You would just use those kinds of measures. It is not what players want to do. Senator LEYONHJELM: What do players want to do? Tell me, if you had your choice, what would you like to do? Mr Brabin: I started Poker Asia Pacific specifically because the rake that was charged by PokerStars kept going up; it was extortion. They do not have tables; they do not really have people dealing games; it is computers so they do not need super high margins to make money. Obviously the commission needs to be fairer for players. So if the commission has gone from four per cent to two per cent, you are going to have a lot of players that used to be losers actually turn into winners or break square players—less problem gambling, higher turnover, lower margins. That is my philosophy. It is fairer on players and it allows you to be one of the most competitive companies on the planet by using low commission. That is what players want. They want low commission, good games, integrity, and consumer protection against robots and fraud. Senator LEYONHJELM: I must say, I’m very pleased to see these numbers. Mr Brabin: You are very welcome. I thought that would make it clearer for you guys to be able to see the actual real effects of gambling forms in Australia based on hourly loss rate. CHAIR: You are good at what you do. You were telling us about your win ratios while you were playing and you did well out of other forms of gambling. In poker you are playing against other players and not against the house but it is still a zero-sum game though, isn’t it? If you are consistently winning, someone is consistently losing. Mr Brabin: Yes. As a professional, say you play 10 times, you’ll win six times out of 10. So it’s a very fine line between winning and losing. CHAIR: It’s low margin, high turnover. Mr Brabin: Yes. Say you’ve got a hierarchy of skill level—you’ve got poor players, middle players and high players—the poor players are going to lose more. CHAIR: Until they do it more often and get 100 hands or something, as we heard earlier. You start picking up the skills after 100 hands. Mr Brabin: A player may come from a poor skill level to an intermediate skill level and then up to a high skill level. It just depends how good they are. CHAIR: The longer you stick at it the better you get. That makes sense. CHAIR: Thank you very much for your presentation and your data. It’s most appreciated by the committee. Unidentified speaker: Could I just make sure you’ve got his official submission, because all the details of his winnings and his two per cent rake as opposed to four per cent are in that. Senator LEYONHJELM: I gave that to the secretariat before today, so it is in the system somewhere. Senator LEYONHJELM: It didn’t seem to end up in our documents, that’s all. But we’ll all see it. Unidentified speaker: Right, because that’s pretty well written. CHAIR: Thank you very much.